While watching it rain yesterday I thought of a picture that I made not too long ago. I’ll admit this photograph took a little patience. It’s not easy capturing the splash with one hand while dropping water from a syringe with the other. It is amazing how one drop of water in a cup can create such awesome art. I have this photograph framed and mounted on the wall at my desk. 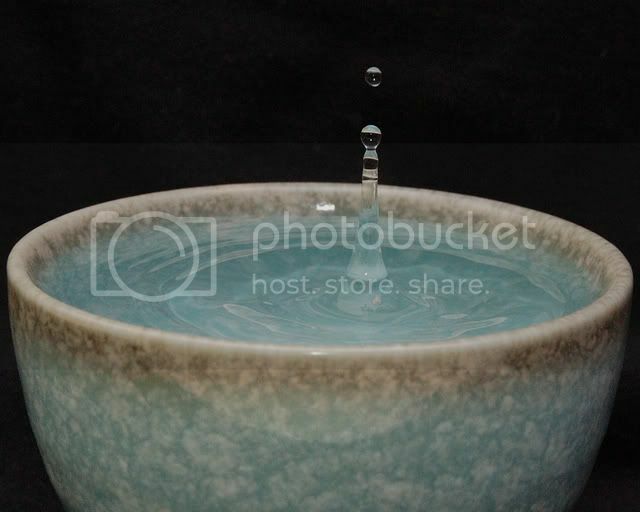 It also reminds me how a drop of water will cause a ripple to cross a lake. The power of water is truly marvelous.